Social care safeguarding processes can be introduced in prisons to protect vulnerable prisoners and their vulnerable dependants. This requires clear commissioning of the social care agenda inside prisons, with multidisciplinary involvement and adequate training. This has now been achieved at HMP Bedford and some other UK prisons. 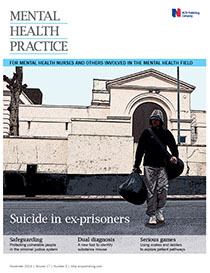 Results of effective safeguarding at HMP Bedford are described in a case report.